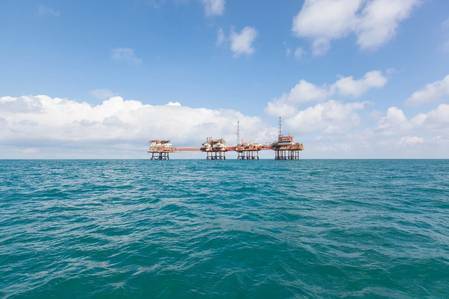 Norwegian Energy Company (Noreco) plans to acquire offshore assets on Britain's continental shelf in 2019, following its purchase of Shell's upstream oil and gas licenses in Denmark, its chairman told Reuters on Thursday. The Oslo-listed company on Wednesday announced a $1.9 billion deal to acquire Shell's 36.8 percent stake in the Danish Underground Consortium (DUC), which accounts for 90 percent of Denmark's petroleum output. "I think we should be capable of doing something in the U.K., hopefully in the first half of 2019, but definitely in 2019," Noreco Chairman Riulf Rustad told Reuters when asked if the company also planned to buy British assets. Rustad said Noreco was looking for opportunities in Denmark and Britain because asset prices on the Norwegian continental shelf (NCS) have been inflated by the country's favorable tax regime, attracting "aggressive" private equity money. In June, private equity-backed Neptune Energy bought assets of German gas utility VNG, and in 2017 Point Resources acquired Exxon Mobil operated assets off Norway, among other deals involving private equity money. "That's not the case in Denmark, that's not the case in the U.K., which means that the competition is much less," Rustad said. "The underlying picture there, however, is the same. The majors are leaving, and I think it's a good thing. It creates a number of independents, which have a different approach to things," he added. Chevron is set to become the first oil major to completely exit the NCS, while others, including Exxon Mobil , BP and Shell, have scaled down their presence by selling or merging their assets in the mature region to focus on new growth opportunities elsewhere. The NCS, however, is less mature than the Danish or British, raising the probability of making new discoveries or boosting production from existing fields, Rustad added. But he said Noreco saw significant value to take out of Denmark, beyond what current production profiles showed. He declined to quantify the potential, but the company's investor presentation showed its production in Denmark could potentially rise to 80,000 barrels of oil equivalents per day (boed) by 2023. In the near term, production from the Shell assets was expected to decline to 56,000-58,000 boed in 2018 from 67,000 in 2017 due to maintenance, and to fall further towards 30,000 boed in 2021. Total, which holds 31.2 percent in DUC, agreed on Sept. 25 to buy an additional 12 percent stake from Chevron, while state-owned Danish company Nordsofonden has the remaining 20 percent.